Our mission is to create a culture of worship family and discipleship. Hope United is a non denominational church that believes in the traditional Christian values that are expressed in the Bible. We are a community of people that demonstrate the love of Christ in their actions and fellowship. Hope is a worshiping church that believes in the power of praise and a lifestyle before the Lord that honors who He is. We are a place that is dedicated to partnering with people to grow and find God’s best for them. Hope is a place that welcomes people from all backgrounds to find unity and peace in the presence of God. In 1995 Apostle Duane and Prophet Deborah Swilley moved to South Florida with their family and a few close friends. There were no big underwriters, no big promises, and no building but there was a dream God had placed in their hearts. Hope United started as a bible study in their home. Week after week it grew. Apostle still traveled to raise money for the young church while the rest of the team stayed in town to prepare for gatherings. Hope went from a Bible study, to sharing a church in New River, to finally settling in their own place near the Golden Glades Interchange. Hope continued to move whenever God spoke, from Miami, to North Miami, to Cooper City, and finally Pembroke Pines. Hope United has been known for it’s love, powerful arts, worship ministry, innovative youth ministries, children’s programs, building/restoring families and developing effectual leaders. In 2013 God spoke to Apostle Duane and Prophet Deborah to install Pastors Joshua and Keren Swilley as the new Lead Pastors of the church. They realized their time as lead pastors of a local church was complete. Apostle and Prophet Deborah still oversee many churches, while traveling and doing missions around the world. Pastors Joshua and Keren have studied underneath Apostle and Prophet Deborah for many years and embody the same spirit of Hope but with a fresh expression. They’ve served in many different capacities before being installed as Lead Pastors including; youth pastors, worship leaders and administration. As Lead Pastors their vision includes; a family life center, academy, school of ministry and innovative arts outreaches. Pastors Joshua and Keren are deeply dedicated to discipling and developing others to be the next generation of Christian Leaders. 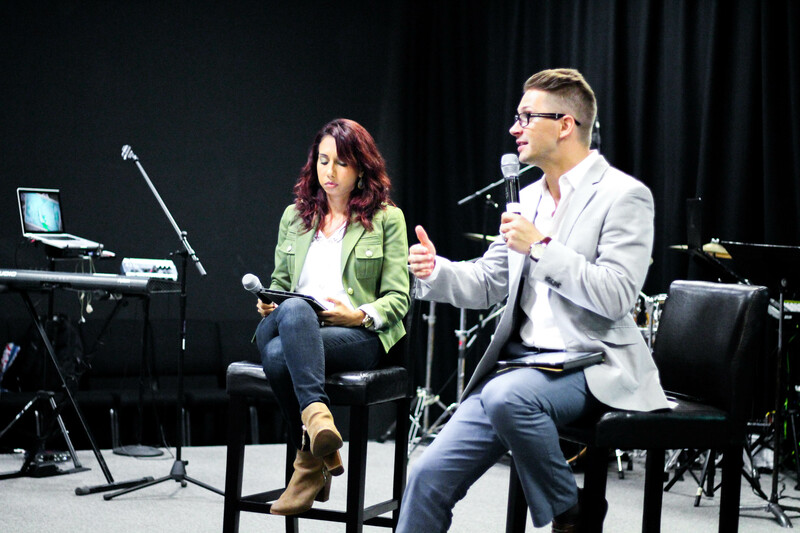 Pastors Joshua and Keren come from a rich heritage of ministry that spans back several generations in The Church of God and Assemblies of God. They have been married for thirteen years and have two children. Esperanza Celeste and Christian Alejandro.